An American military convoy patrols the front near Manbij several times a day, a show of force to protect the city from Turkey, an American ally. 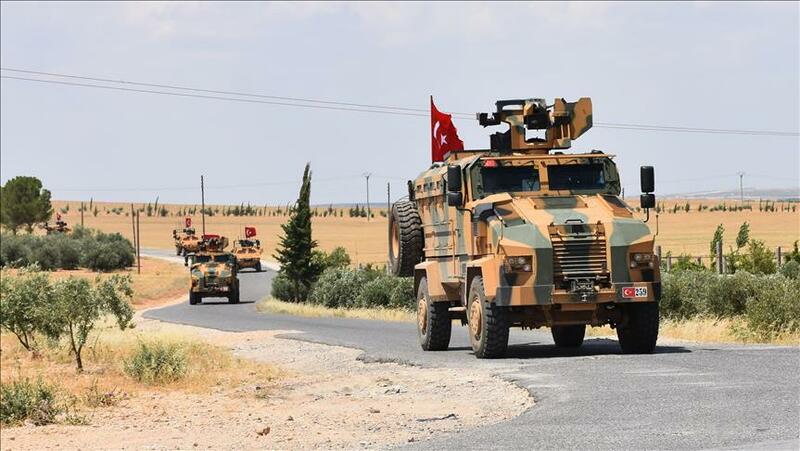 However, the patrols of the American army is being conducted jointly with the Turkish army as part of the plan to remove the elements of the YPG, the Syrian branch of the PKK, out of the city and to the east of Euphrates River. The YPG reportedly aims to establish a corridor that could eventually reach the Mediterranean along the southern borders of Turkey to Syria. Manbij, the Sunni-Arab majority city, plays a critical part in this plan. The article failed to mention that removing the YPG from Manbij is a longtime promise of the top US officials to Turkey. During his visit to Turkey on 24 August 2016, then-US Vice President Joe Biden assured Turkey that the YPG will pull out of the Arab majority city of Manbij if they want to keep the support of the US. “No corridor, period. No separate entity on the Turkish border. A united Syria. And the Prime Minister explained precisely the arrangement that we have relative to both Jarabulus and the commitment we made with regard to Manbij. We have made it absolutely clear to the elements that were part of the Syrian Democratic Forces, the YPG that participated, that they must move back across the river. They cannot, will not, and under no circumstances get American support if they do not keep that commitment, period,” Joe Biden emphasized. Yet, the YPG continues to retain the control of Manbij to this day and it is not clear when it will be eradicated from the city as part of the joint action plan of Turkey and the US.